Although here in California still feels like summer with this 90 to 100ish degree weather, it is now autumn and I wanted to share with you my top vampy lipsticks, all vegan, cruelty-free and some more natural than others. Fall is my favorite season for makeup it's when I like to play with dark shades. I have round up my top 5 dark shades for a vampy look. Let's start with the darker shades and work our way down to the lightest. Vamptastic Plum is a dark plum. These two shades are quite similar at a glance but Vamptastic Plum is more purple. I love both shades and reach for them year round but mostly during the fall & winter seasons. The formula on these matte liquid lipsticks is really great, long-lasting definitely one of my faves for sure. I got a YouTube video on Aromi liquid lipsticks where I review & swatch the shades I have, you can watch it here. This shade is somewhat new to me but I already love it so much! It came in my Petit Vour beauty box, thank goodness because this is the most expensive one out of this bunch. 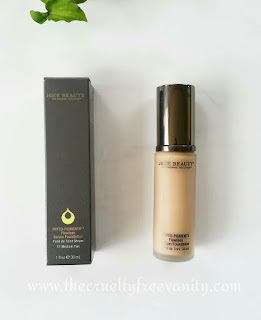 The formula on this is nice and creamy, comfortable, with a satin finish. Hero is such a beautiful berry purple and makes me feel fierce when I wear it. Gypsy Soul is part of Red Apple Lipstick's satin lipstick formula. Its a no shimmer brick red with brown undertones but on my skin tone it leans more on the brown side and gives off a subtle vampy look. This shade also gives a nice stain to the lips after it has rubbed off. 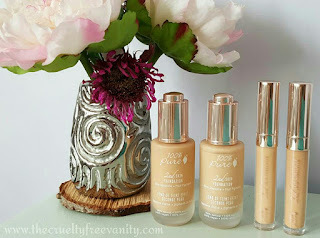 Out of this bunch, this is the most moisturizing and creamy in consistency. BTW I have a code with RAL (not an affiliate code) get 22% off your $50 purchase with nz22! This shade is a bit more tone down compared to all of the above, but I still classify it under a vampy shade. Unfortunately, I don't have this shade anymore it did expired so I had to toss it. I still wanted to include on this list because when I had it I wore it a lot and I plan to repurchase it soon. The formula of this matte lipstick is one of my favorite comfortable mattes, it's not a liquid matte but more its also not a creamy lipstick. 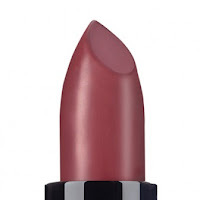 Its long wearing and has a matte finish, the shade on my lips looks like a light berry vampy plum. You can find a lip swatch of this shade on an Instagram post I did a while back, here. Top to Bottom: Gypsy Soul, Hero, Vamptastic Plum & Black Cherry. Again I don't have Vamp to swatch for you. It's obvious that I live for a dark lip for fall, do you love dark shades on the lips? If so what are your must-haves? Please do tell!